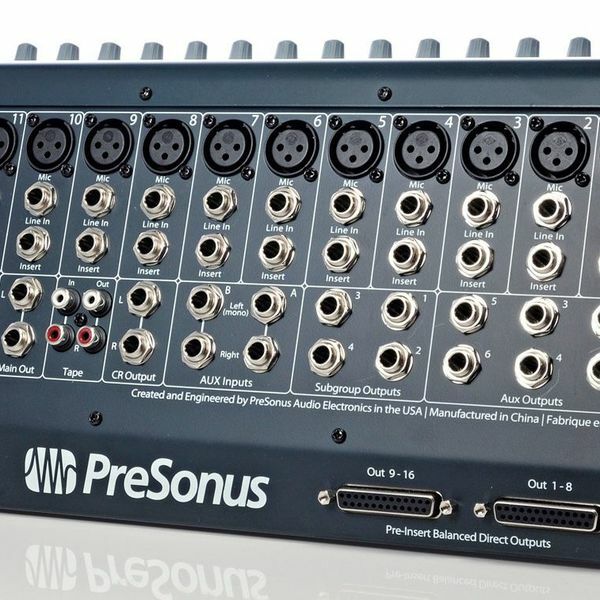 The PreSonus StudioLive™ 16.4.2 is a 16-channel (16x4x2) digital mixer designed for live events, live and studio recording, as well as corporate, institutional, and other installations. Each channel features an XLR mic input and high-headroom Class A XMAX™ mic preamps, individually switched 48V phantom power, ¼" balanced line inputs, and insert points. Channel, subgroup, and main levels are set with 100 mm faders. 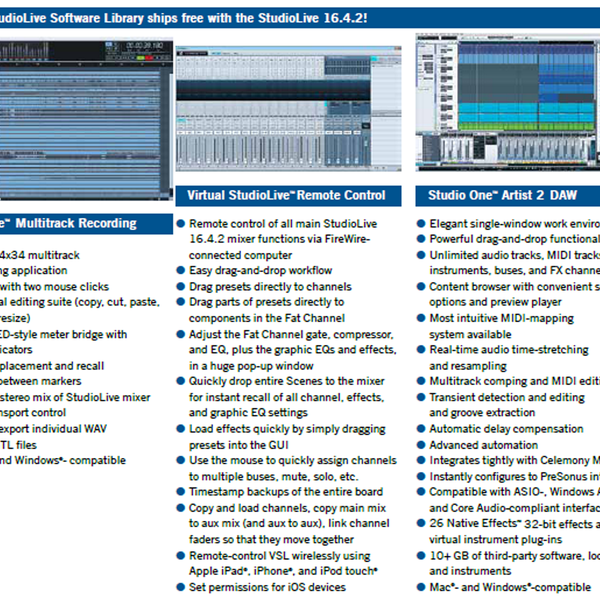 The StudioLive 16.4.2 has six Aux buses, four Subgroups with variable (2 to 500 ms) output delay, a talkback section with Class A XMAX preamp, extensive LED metering, mixer Scene save and recall, and channel-strip save/ recall/copy/paste. A stereo graphic EQ is available on the Main output bus, and four more dual-mono graphic EQs are available for the aux buses. Every channel and subgroup has Solo and Mute buttons, the two FX buses have Mute buttons, and the Aux buses have Solo buttons. A Solo-in-Place (SIP) button is provided, and the Cue bus is switchable between AFL and PFL. The Solo and Main bus, Tape Input, and Main FireWire return can be monitored via the Control Room Outputs. All buttons on the mixing surface glow gently when inactive and brightly when selected for easy viewing in lowlight conditions. The mixer also offers a 12 VDC, BNC lamp socket. Main outputs are on both XLR and balanced ¼" jacks, and a full-range XLR Mono output is provided. The subgroup, aux send, and control room outputs are balanced ¼" jacks, as are the two stereo Aux returns. The stereo tape sends and returns use RCA jacks. Pre-insert, analog direct outputs are provided on DB25 connectors. A stereo coax S/PDIF digital output is included. 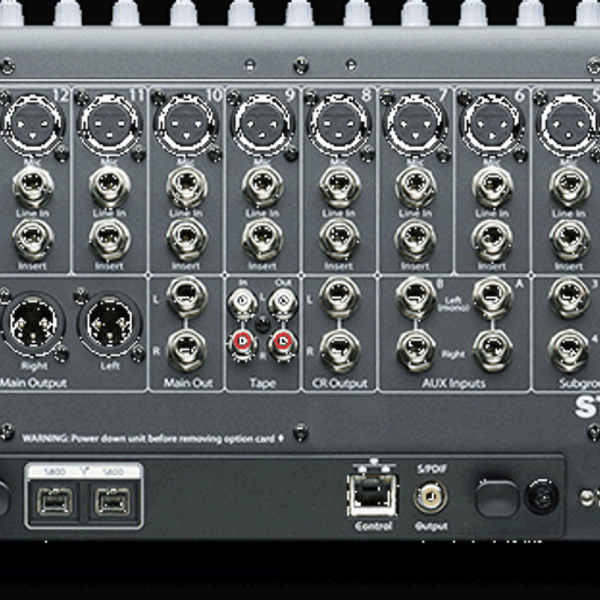 The mixer incorporates a built-in 32x18 FireWire recording/playback engine and has two FireWire 400 (IEEE 1394) ports. 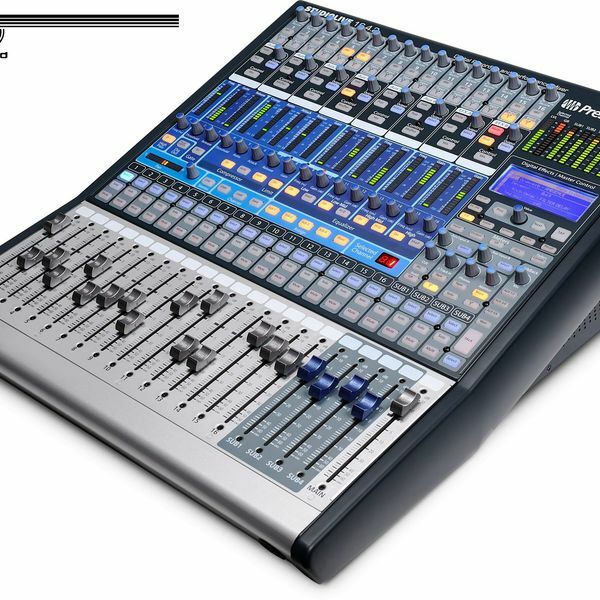 In addition to providing computer connectivity, the ports permit passthrough for connecting a hard drive, and allow two StudioLive 16.4.2s to be daisy-chained, providing a 32x8x2 or 32x4x2 (selectable) mixer with computer-based hard disk recording. The StudioLive 16.4.2’s Fat Channel™ processing section offers a 4-band quasi-parametric EQ (with high/low Q switch on the two mid bands and switchable shelving on the low and high bands), compressor, limiter, and expander/gate on every channel, aux, and subgroup, as well as a high-pass filter and phase reverse on each channel, aux, and FX bus.